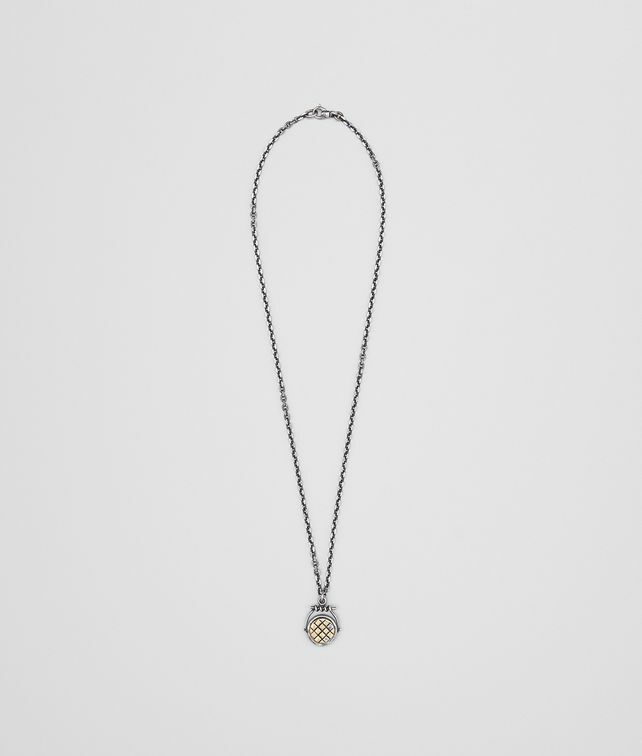 This chain necklace is handcrafted from sterling silver and features a circular, spinning pendant. The double-face pendant displays a chalcopyrite gemstone on one side, while the other is engraved with the iconic intrecciato motif and hand-painted in a 24-karat gold patina. It is finished with an easy, interwoven hook fastening.